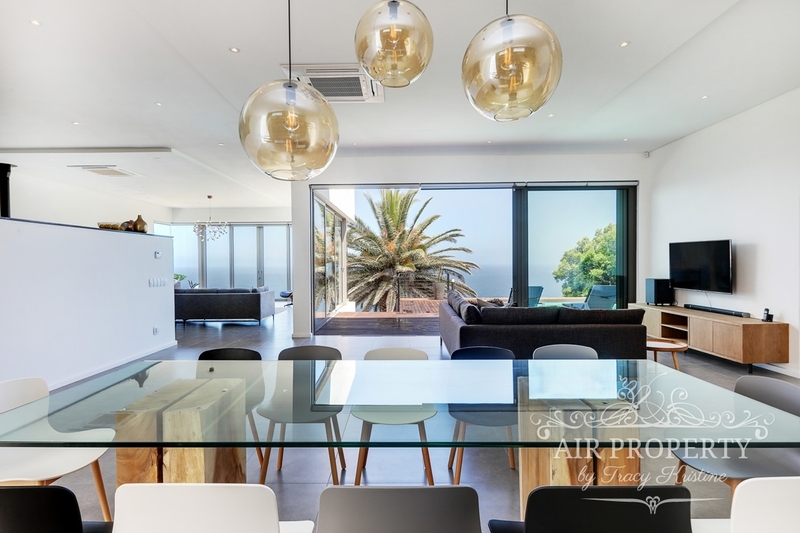 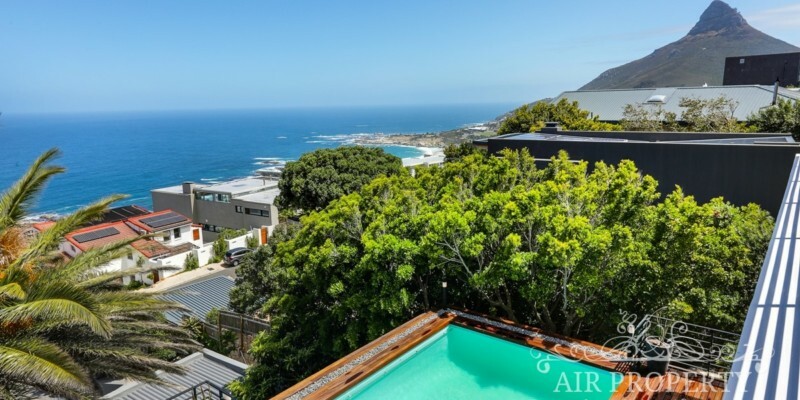 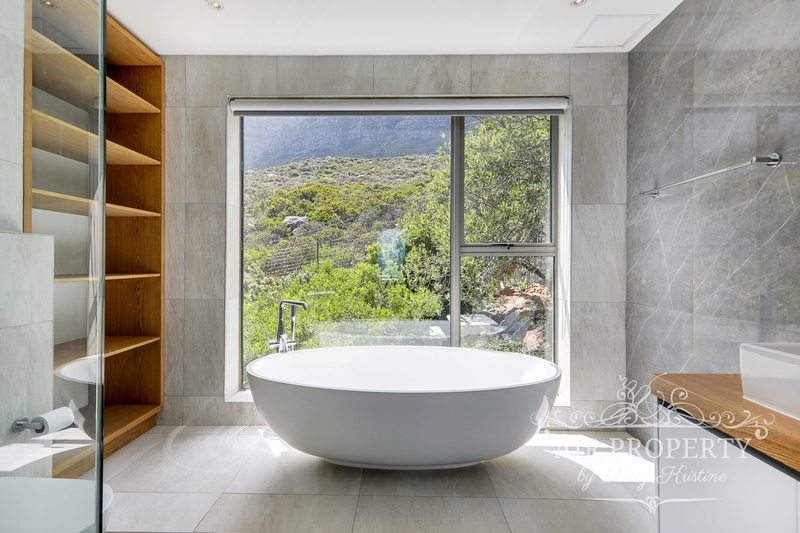 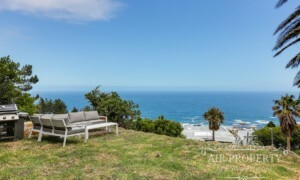 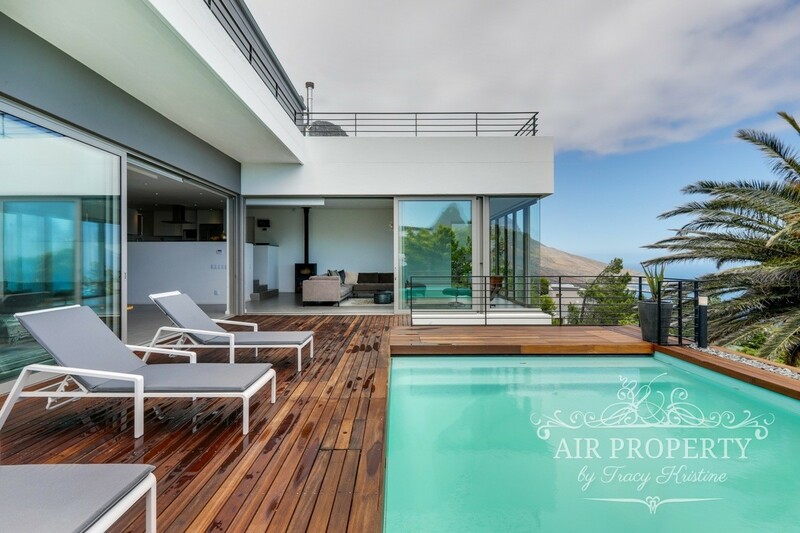 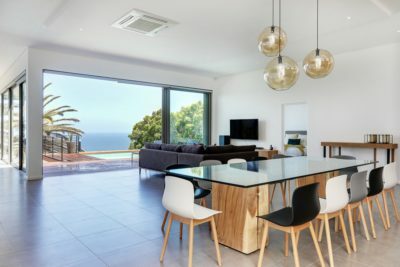 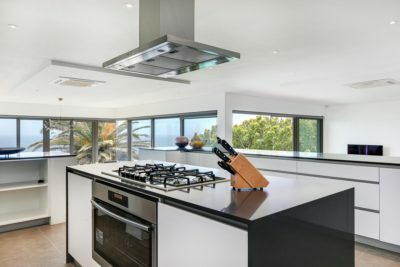 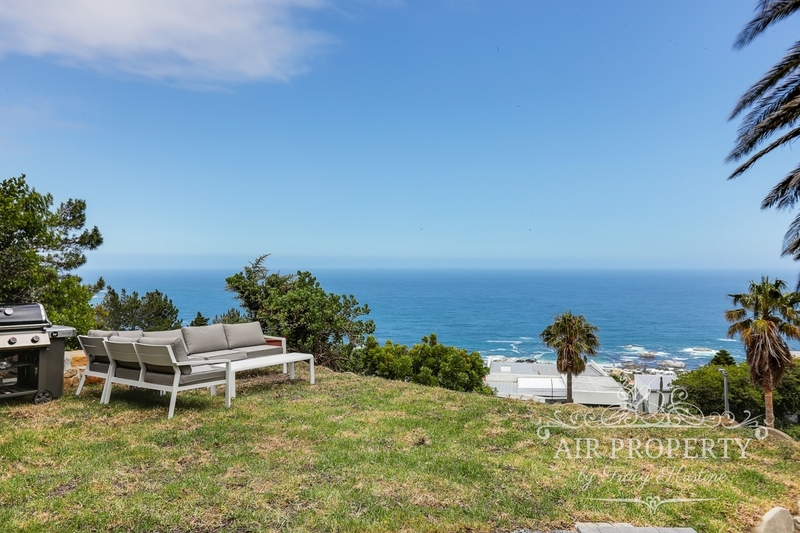 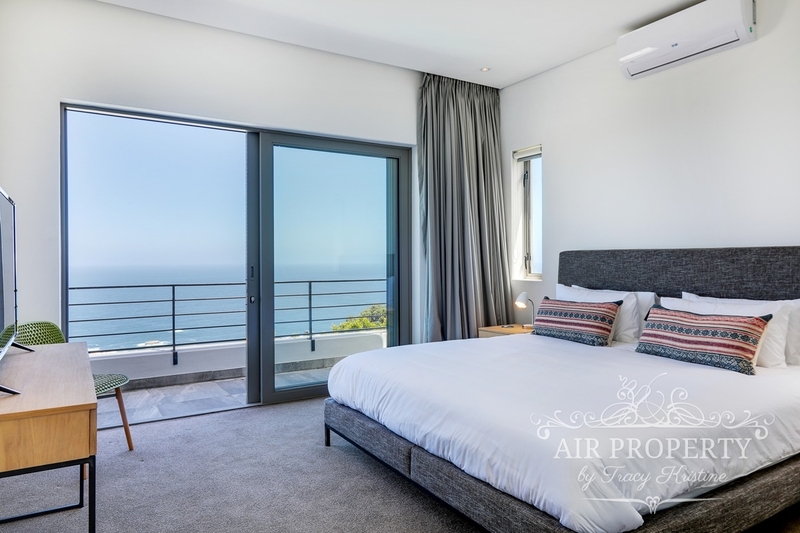 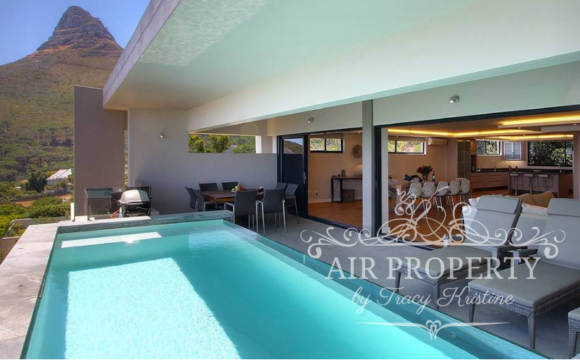 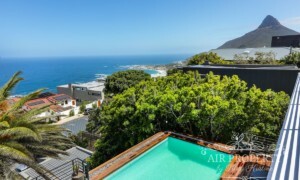 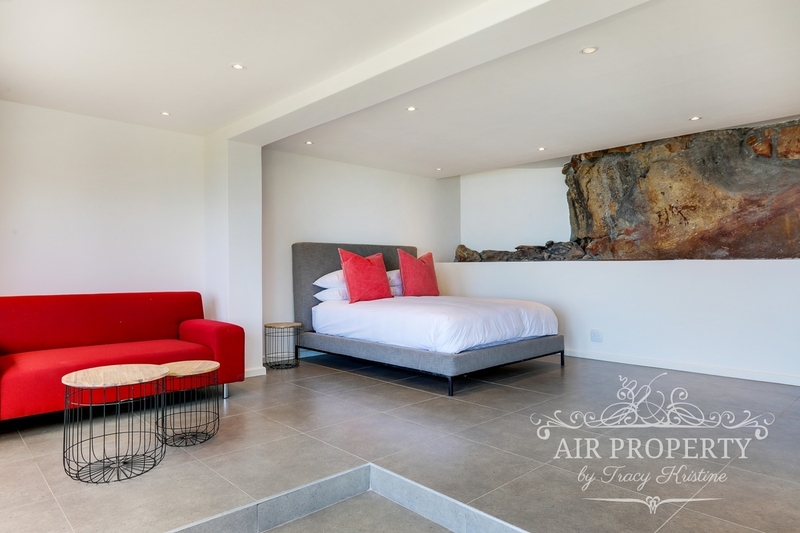 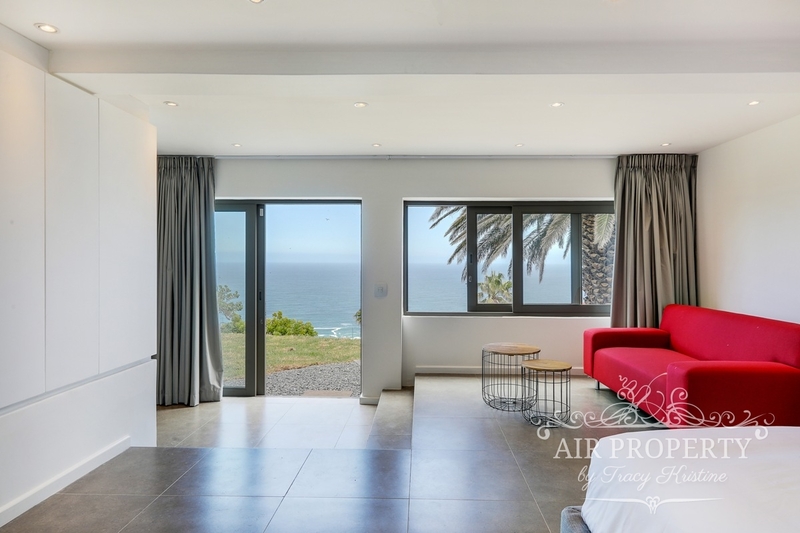 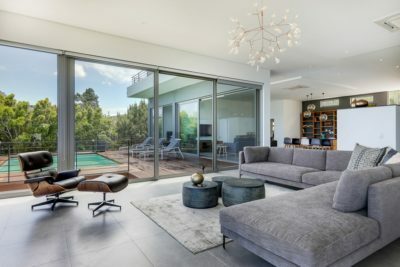 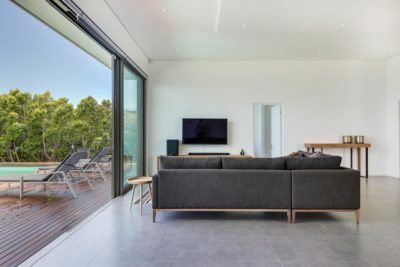 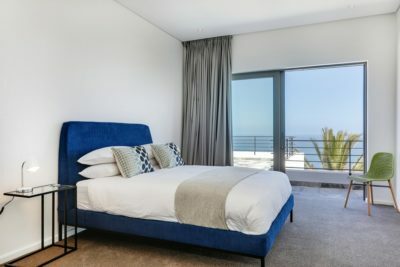 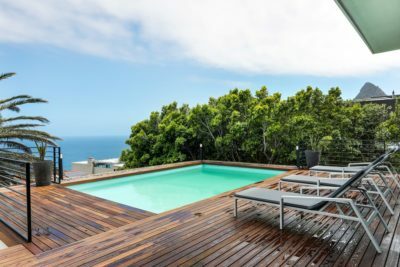 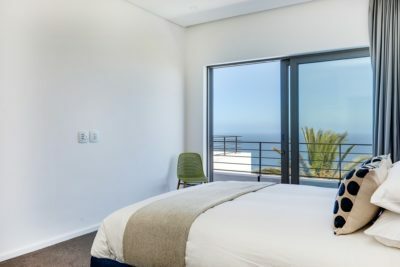 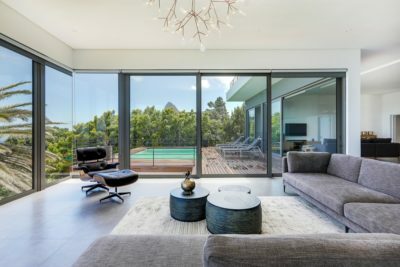 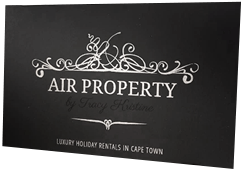 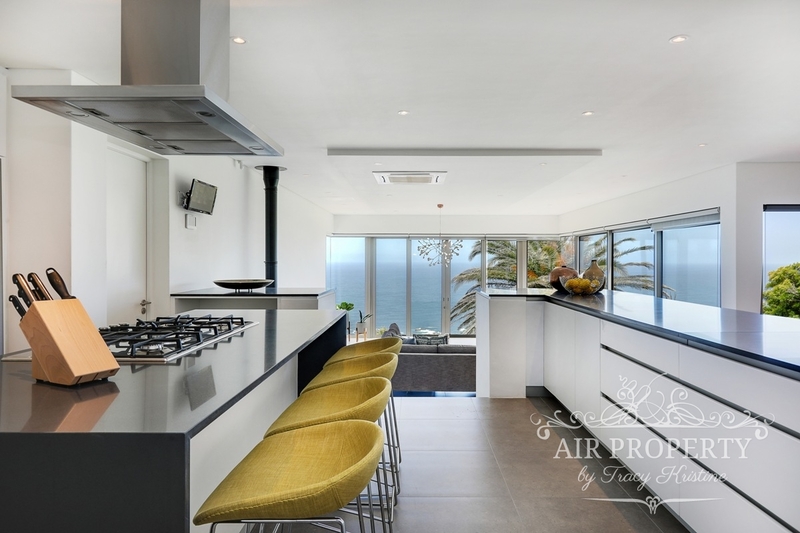 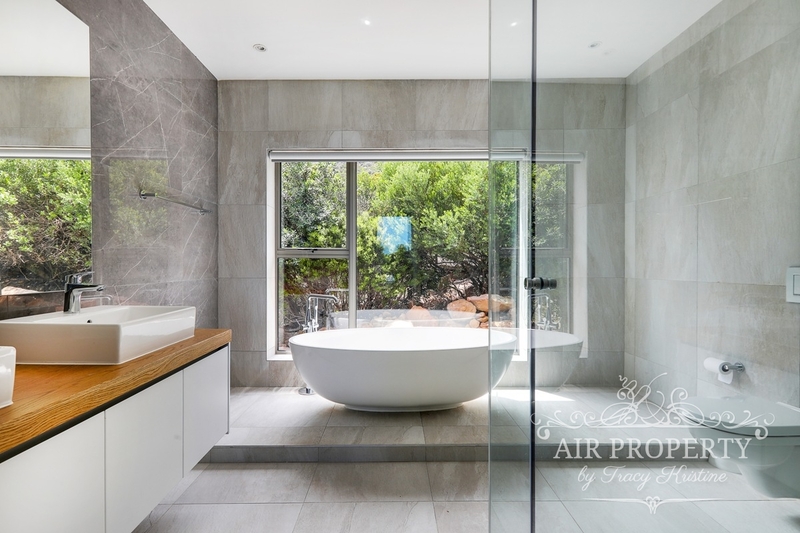 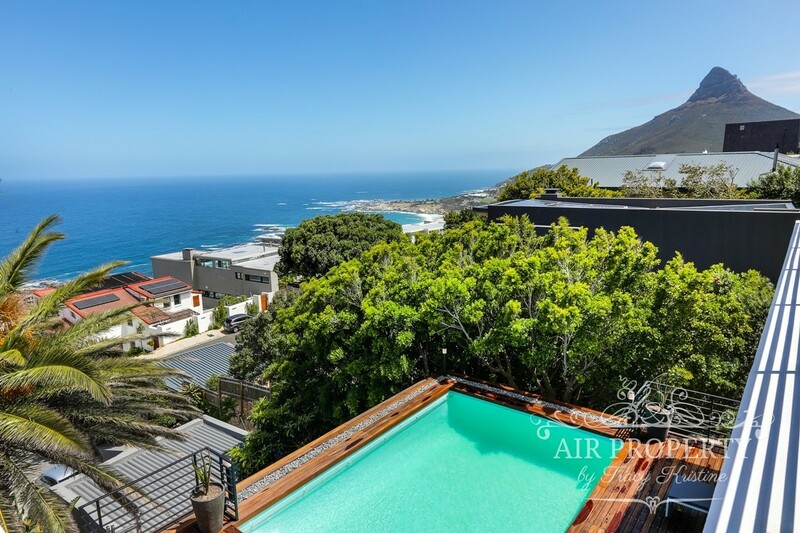 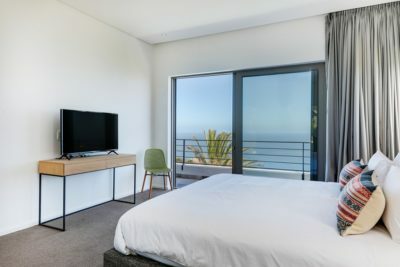 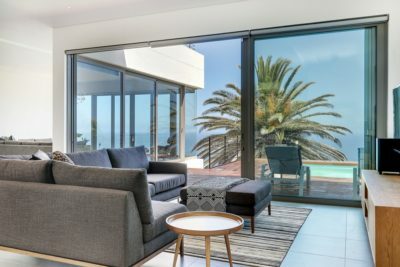 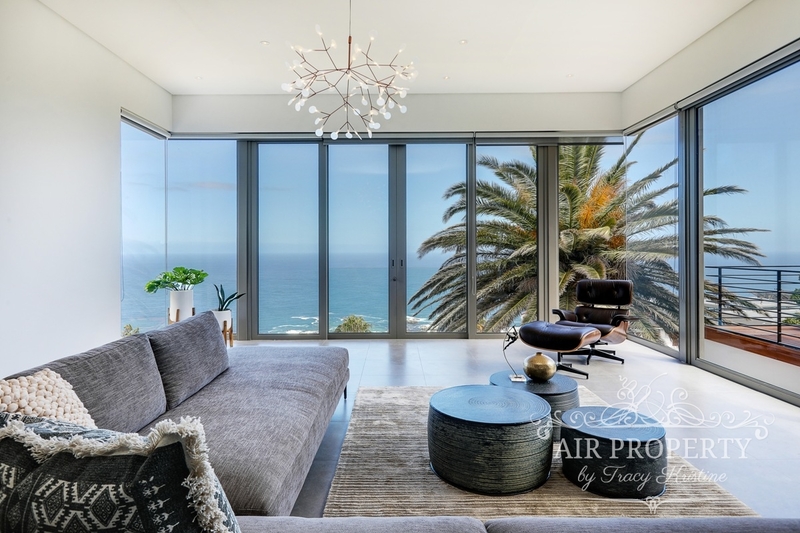 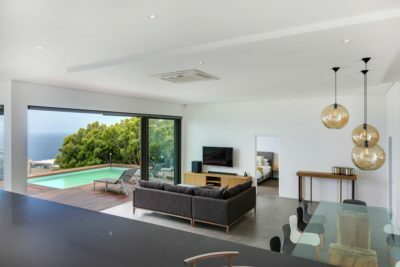 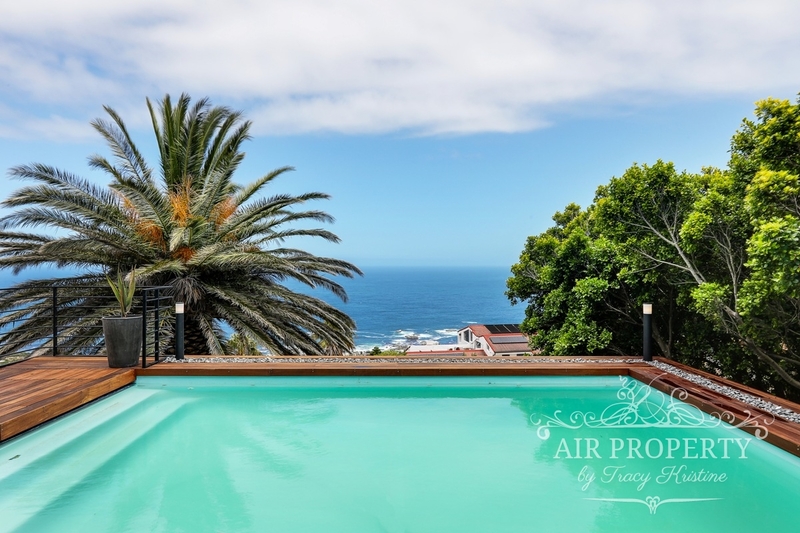 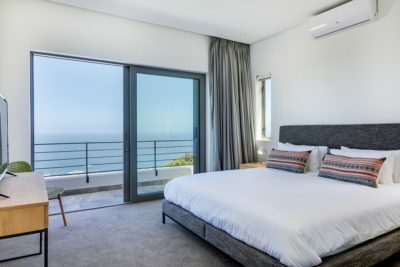 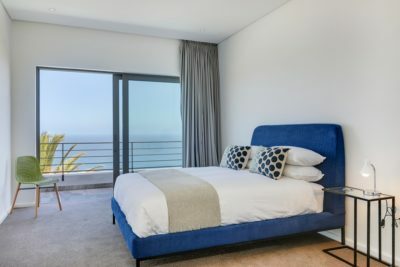 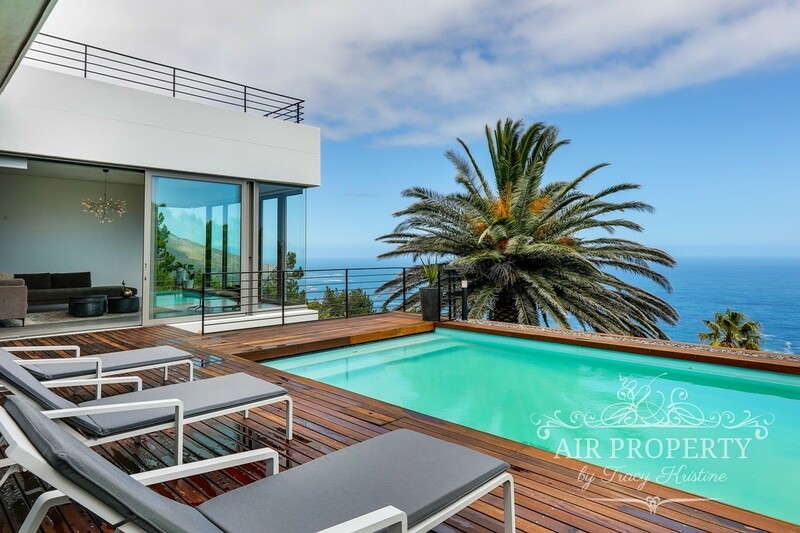 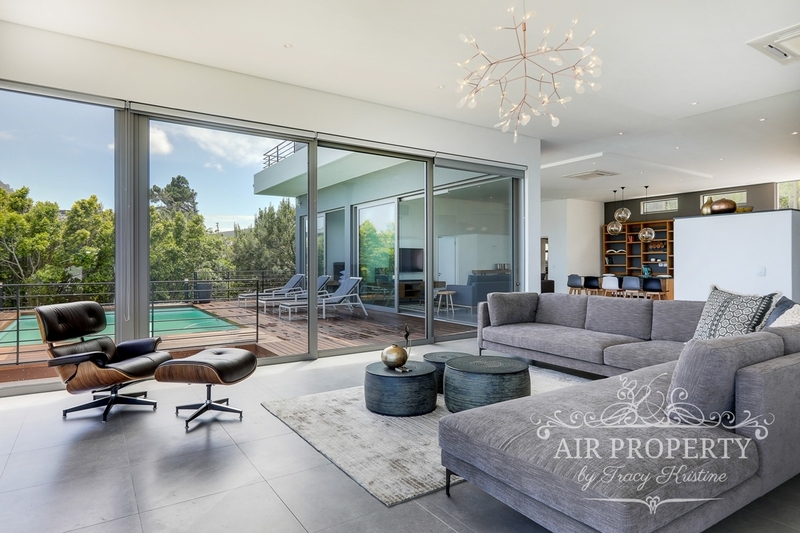 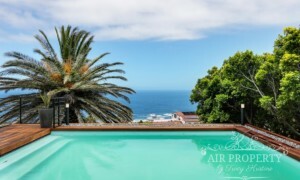 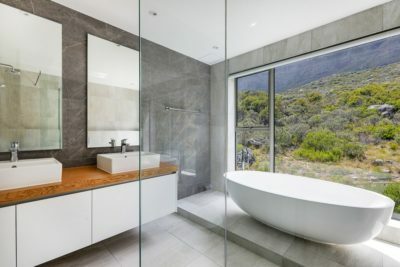 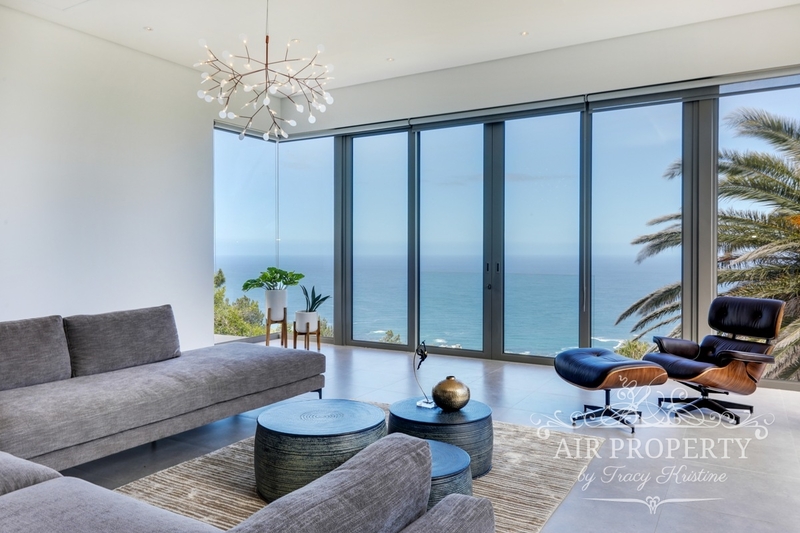 6 Bedroom Holiday Villa in Camps Bay. 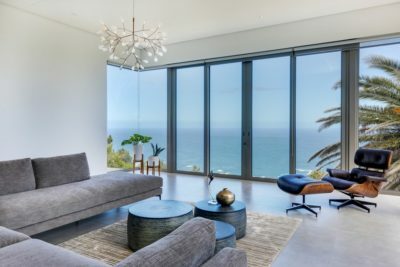 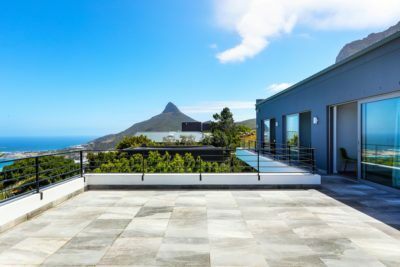 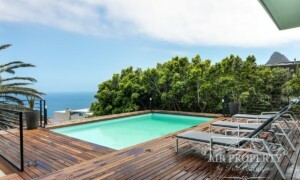 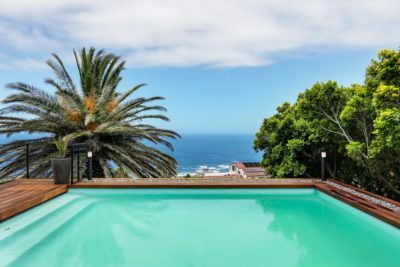 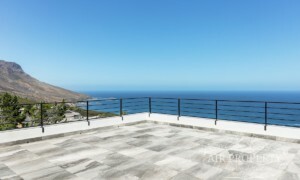 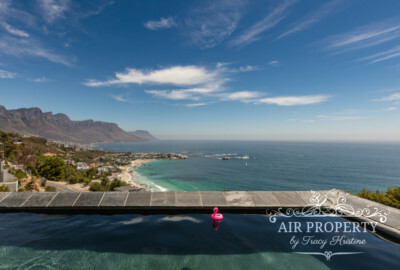 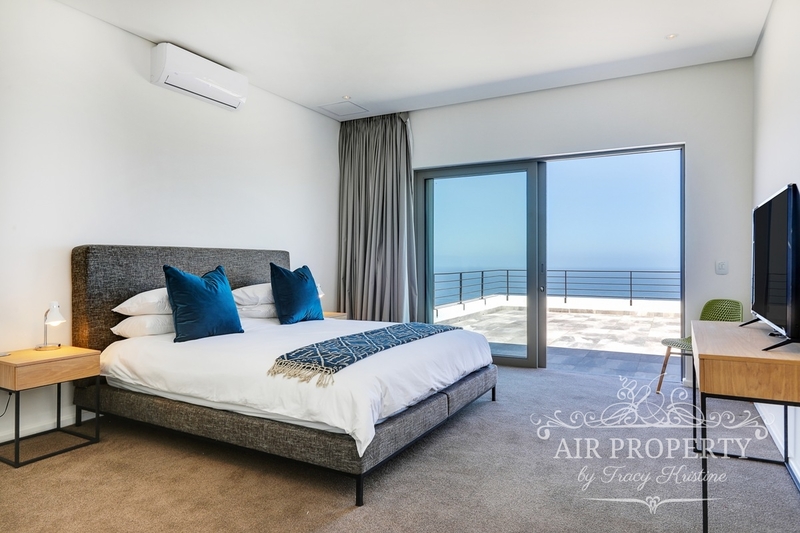 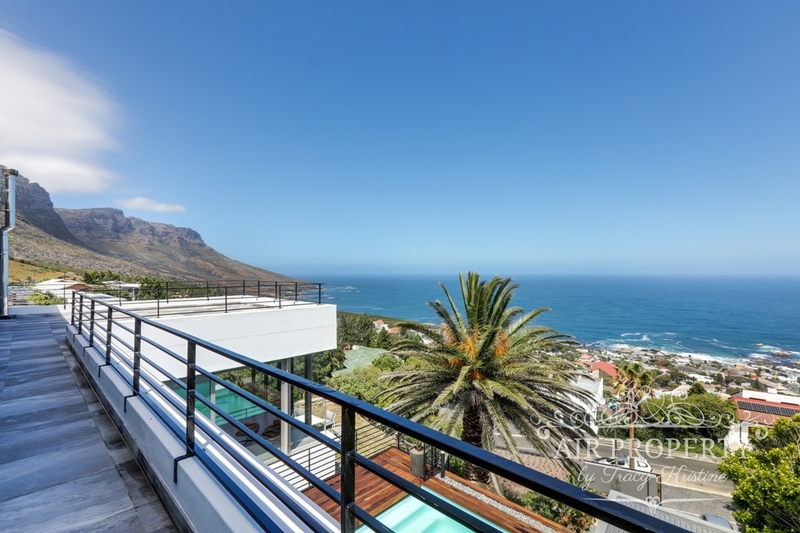 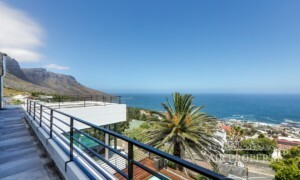 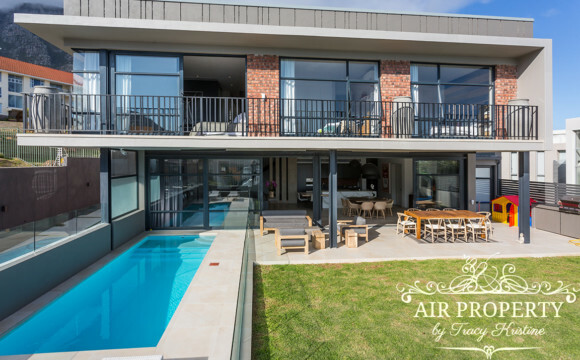 This grand 6 bedroom villa rests against the Twelve Apostles mountains and boasts spectacular sea and mountain views. 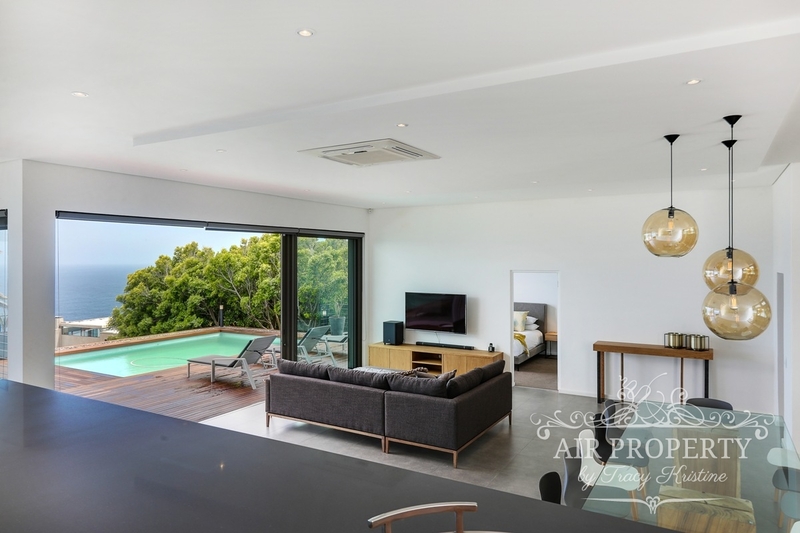 The main living of the villa is area is open-plan with high ceilings and floor to ceiling glass doors. 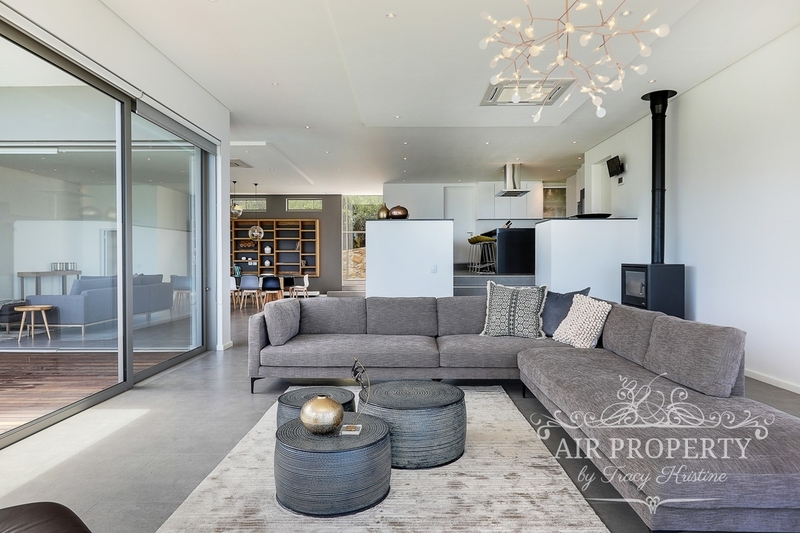 There is an informal living area which has with luxurious seating for 10. This rooms is perfect for relaxing and enjoying the sensational views. Inter-leading with this area is the formal TV lounge area with comfortable seating for 6 and a large wooden 12-seater dining table. 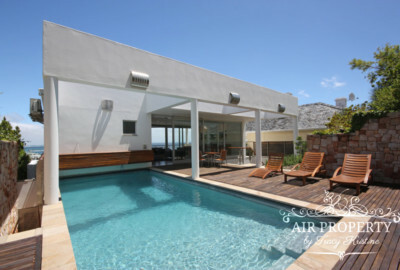 Both these rooms lead onto a deck with a swimming pool and sun loungers. 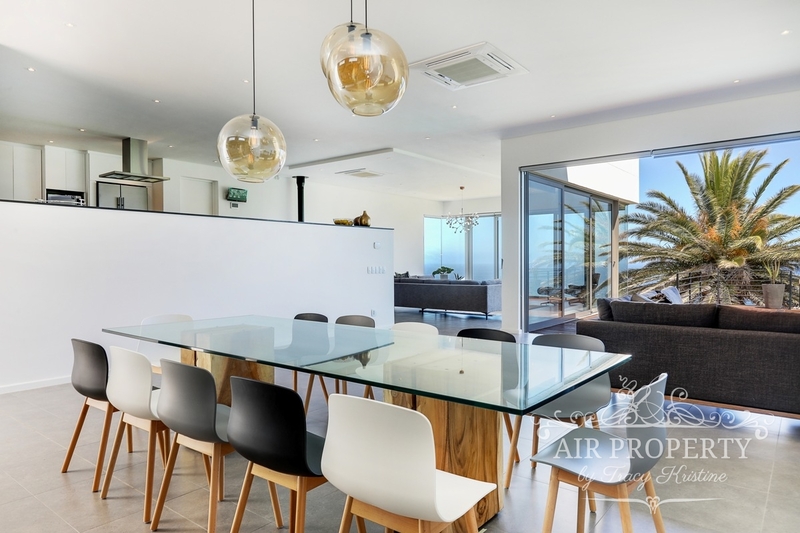 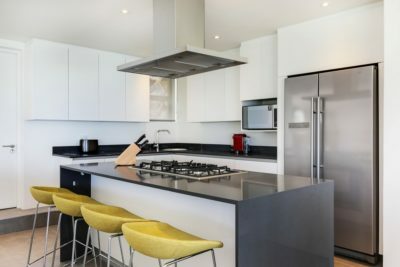 The kitchen is a raised area of this room and overlooks the TV lounge and dining table, fitted with all the appliances you will need while on holiday. 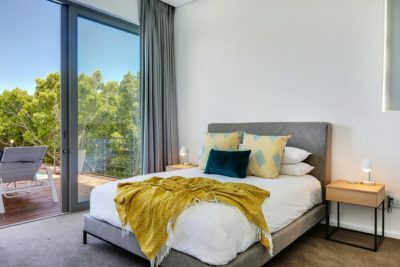 The fifth bedroom is located on the ground floor and also leads out onto the swimming pool deck. Four of the other bedrooms are located on the first floor of the villa. 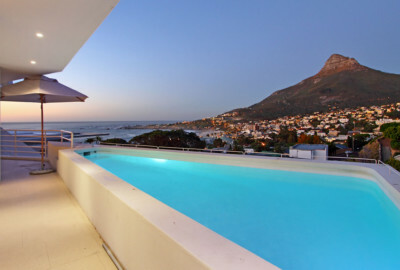 These four rooms all have access to a balcony. The 6th bedroom is situated slightly separate from the main house. 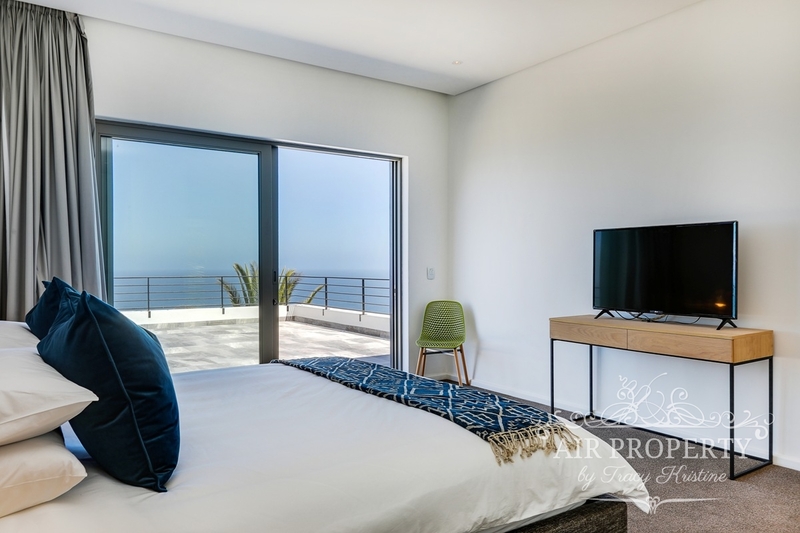 All the bedrooms in the incredible villa are en-suite and boast amazing sea and mountain views. 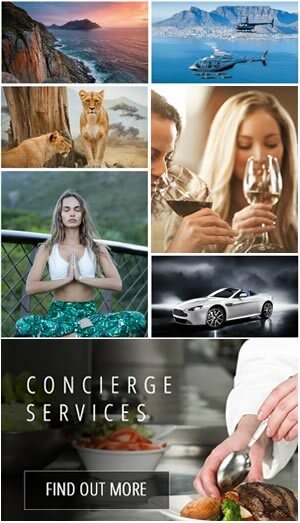 They are all furnished with King or Queen size beds made up with exceptional linens perfect for a great nights rest. 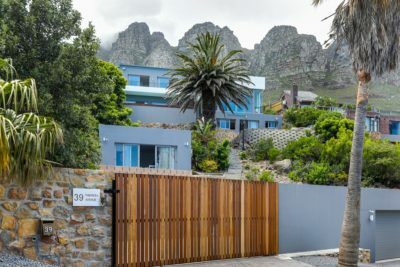 Be Aware Of : No Children under 12 due to safety concerns. 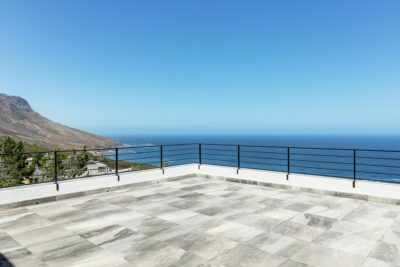 There are about 63 stairs to the house.